Transport for London have laid out their plans for the Lambeth section of cycle superhighway 5 which runs from New Cross to Westminster. 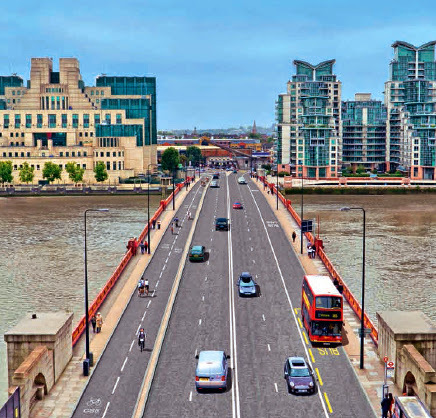 The proposals include a a two-way segregated cycle path running from Oval along Harleyford Road which will allow cyclists to avoids the dangerous gyratory system at Vauxhall Bridge (see diagram for Bridge layout). This new layout will offer cyclists coming from Oval an almost straight route across the bridge. 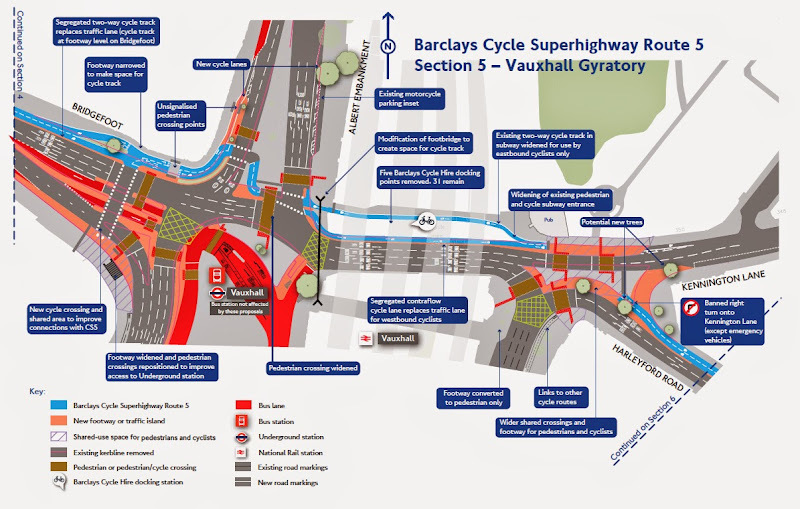 This scheme is separate from any future redevelopment of Vauxhall Cross and removal of the gyratory system. Work is set to start on this scheme later this year. See https://consultations.tfl.gov.uk/cycling/cs5-inner for further details and to add your views, the closing date for consultation is 14 September 2014.